Hopefully Jimmy Buffett eats breakfast-- he needs the energy for his concerts. We should ALL eat breakfast! If Jimmy does have breakfast, this is what I think he has. If you like pina coladas & getting caught in the rain-- you will LOVE this recipe! 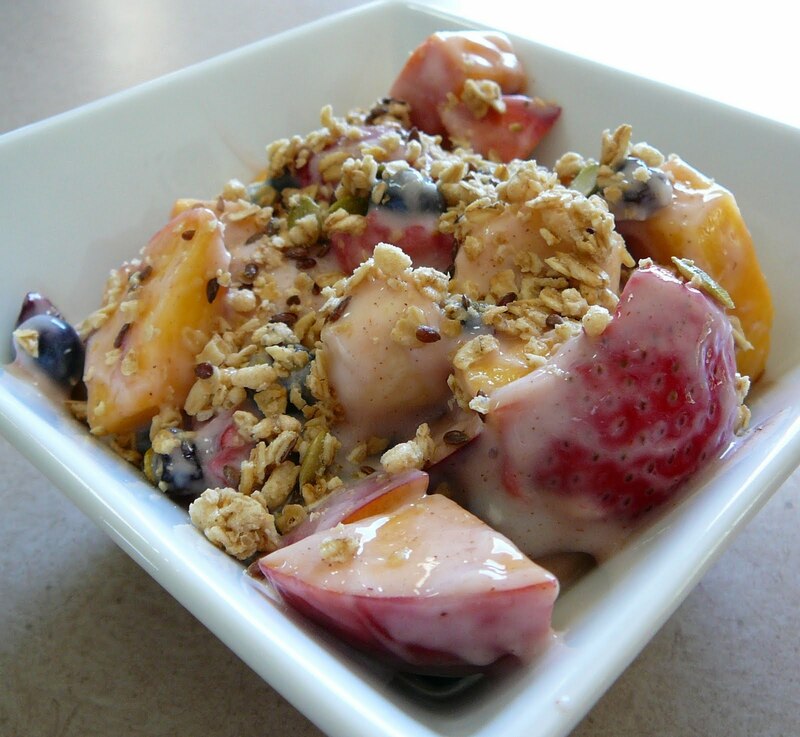 This fruit salad is great for breakfast or a light lunch, but can be served as a side as well. You can use any fruit that you have in your house, so no need to make a special trip to the grocery store. Fruit is obviously full of vitamins and fiber. If you struggle with getting your kids to eat fruit, this is a great way to temp their taste buds! Place chopped fruit in a medium bowl. Add yogurt and cinnamon, stir gently until mixed. Serve and top with sprinkle of granola or walnuts.